Poetry is said to have evolved from nature and birds. It is also one of the most loved and under-rated art forms of the world. Poetry was the earliest form of written literature found on scrolls, papyrus, wooden slabs, silk, and stone, etc. All the great epics ever were written were all in poetry form. Take the example of Paradise Lost and Paradise Found, Ramayana, Mahabharat, etc. In the medieval times, poets had a royal status in the courts of kings, and queens. The monarchy of United Kingdom still has the titular position of the \"Poet Laureate\". But of late, Poetry has lost its status. It is not even considered a viable career. Yet many people write poetry and wish to get published. Some get their poems published while many do not even get the opportunity to approach a publishing house. Let’s just accept that there are very few online poetry competitions for poets. But this is not discouraging fact. ShowFlipper is giving all emerging and amateur poets a chance to participate in its SF Mega Competition\'s Online Poetry Competition. Come join us and win big! Let\'s know how. Participating in this online poetry contest is easy. You just need to become a premium member of ShowFlipper and upload your poetry titles from your profile. Write a nice description and also mention what is the price that you expect to get in case your poetry book gets sold. Your poetry will be available for sale in Showflipper\'s Online Poetry Shop. Join the online poetry contest here. This contest also gives you an opportunity to sell your poems to a world audience of poetry readers, book readers, and book collectors. ShowFlipper gives three different cash prizes to the winners of the contest. Publicity across online, offline and mobile channels in the form of blogs, press releases, etc. Prize money shall be directly deposited in the winner’s account. Get paid on unique views with the help of our unique TRP Algorithm. 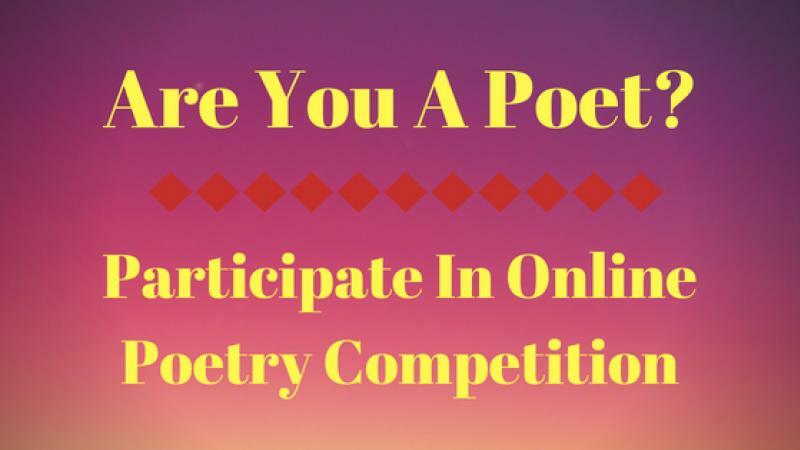 A chance to interact with other poets online. A chance to share and discuss ideas with poetry experts. Opportunities to meet publishers who can help you become a published poet. Update your knowledge of various forms of poetry and languages that you can use in your poems. Understand nuances of language and grammar of other countries. An opportunity to read the finest poetry from around the world. An opportunity to influence the world with your written word. The contest has already begun. Where are you? Join today and give yourself the chance to shine in the most prestigious online poetry contest of 2018. We at ShowFlipper believe that every poet should get a fair chance to showcase his creative writing to the world. We believe that every poet has the god given gift of changing the world with their words and bring about a positive change in this world. Our contest will give your creativity the necessary momentum to jumpstart your poetic career.